Good News to all Kpoppers in Malaysia!!! After Golden Disk Award 2013 in Malaysia, we still have another K-Pop Concert in Malaysia. 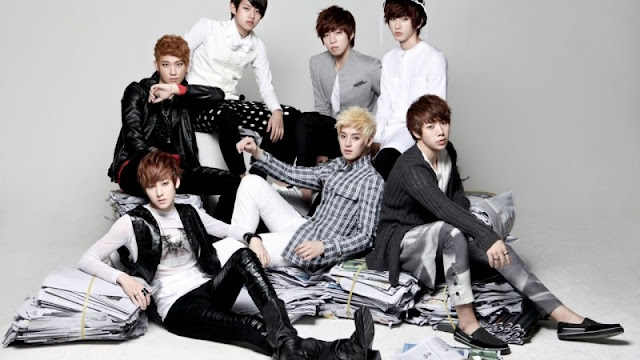 U-Kiss and Rainbow confirm will perform at Twin Towers Live 2013 but we still have other good news, that is Girl's Day has been added to line-up with U-Kiss and Rainbow for Twin Towers Live 2013 in Malaysia. 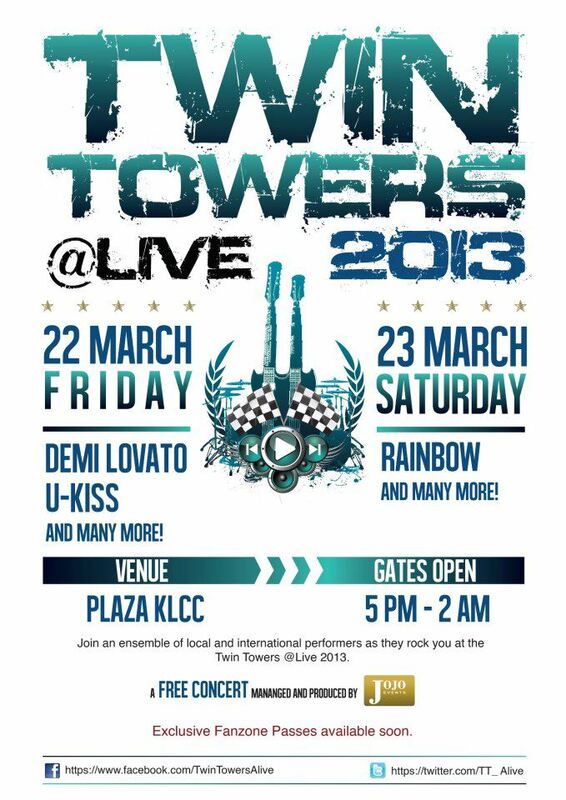 U-Kiss, Rainbow and Demi Lovato are set to perform at the base of the iconic "Petronas Twin Towers". Now, added one more girl group that already confirm will perform at Twin Towers Live 2013 is Girl's Day. The live concert will take place over two nights at the base of Kuala Lumpur's iconic PETRONAS Twin Towers from 22nd and 23rd of March 2013. The opening night stage of Twin Towers Live 2013 on 22nd March 2013 (Friday) will perform by South Korean Boy-Band U-Kiss and American Pop-Sensation Demi Lovato. Meanwhile, the South Korean Girl-Groups, Rainbow and Girl's Day will take to the stage on 23rd March 2013 (Saturday). There is a special PETRONAS Motorsports merchandise promotion for FanZone tickets to watch top acts performing at the TWIN TOWERS @LIVE 2013! This package is only available at the PETRONAS Twin Towers Gift Shop located at the PETRONAS Twin Towers Skybridge Visitors Centre in KLCC. Purchases of RM150 worth of merchandise entitles you to 1 (one) FanZone ticket voucher*. Purchases of RM300 or more and get 2 (two) Fanzone ticket vouchers*. Vouchers can be redeemed at the 2013 PETRONAS Malaysia Grand Prix showcase at Suria KLCC from 16th March. The package is applicable only on selected merchandise and subject to terms and condition. Offer starts on the 6th February til the 6th March 2013 or while stocks and ticket vouchers lasts.